Fido Dido is a cartoon character created by Joanna Ferrone and Sue Rose. Rose first developed the character in 1985 on a napkin in a restaurant. They later stenciled Fido on T-shirts with the credo: “Fido is for Fido, Fido is against no one”. These T-shirts became very popular in New York. 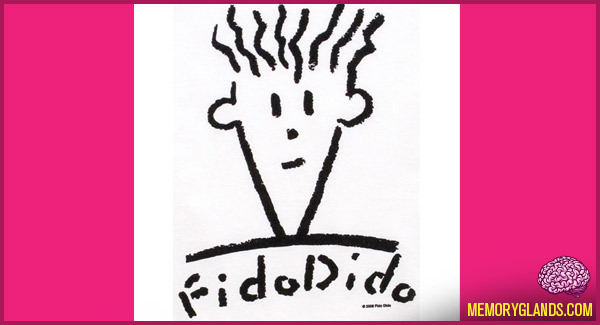 Fido Dido was licensed to PepsiCo in around 1988, but the character did not receive much attention or popularity until the early 1990s on numerous products, particularly stationery. Later, he was replaced with Cool Spot as the brand mascot.